Badass Design Team - De website van 1510146000! 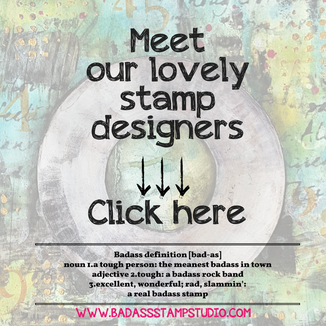 BadAss Stamp Studio, offbeat Dutch stamp-designs for your artistic artwork! Tired of all sweet stamp-stuff out there? 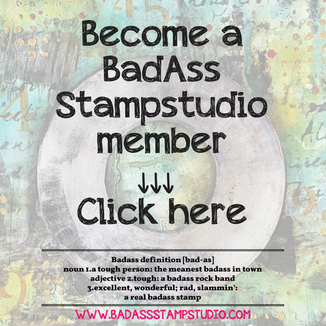 BadAss stamp Studio is different! Limited edition, mixed media focused 4x6" quirky stamp sets. Offbeat Dutch stamp-designs for those who dare and are looking for something different! The Netherlands (or Holland) may be a small country, but it’s packed with world famous icons like our bulb fields, windmills, cheese markets, wooden shoes, canals of Amsterdam and millions of bicycles. In the midst of all this hectic crazyness our signature designers live and they are designing quirky and maybe even bold stamps for you. In the Netherlands you hear a lot of statements, that in other cultures politely fall into the category of “better left unsaid”, so be prepared for some Dutch Directness! Wanna be a BadAss crafter just like our Dutch signature designers? Oooh yeah! 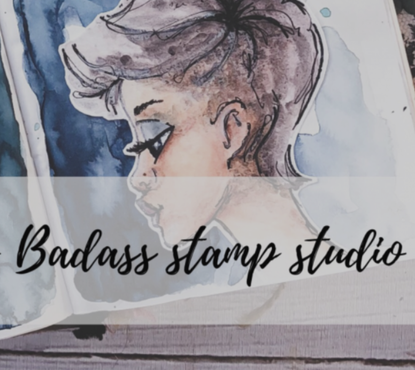 With BADASS Stamp Studio Stamps you will create offbeat, bold & cheeky cards, artistic journals and cool scraps. Subscribe now and you will get these exclusive stamps delivered to your door every month! Each month we release a new 4"x6" limited edition Badass stamp set. The stamps are very versatile so you can use them for Artjournaling, Scrapbooking, Memory keeping etc. etc. Every month we pick a winner for #badassartchick contest. 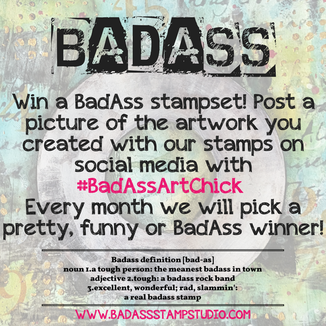 To win a free set of stamps you just have to post your artwork, created with one or more of our stamps, on social media with #badassartchick. Our stamps are all made of High Quality Clear Photopolymer *** and are manufactured in the UK. Photopolymer stamps are totally transparent for perfect image placement. The stamps are easy to store and they can be used with any acryllic block, you will love them. Photopolymer Stamps Rock! Dye Inks will stain your clear stamps but that does NOT affect the quality of the stamped image. It’s just a cosmetic issue so don't worry about that. To clean your clear stamps, you can use a baby wipe. Do not use Staz On Cleaner on your clear stamps, it can damage them. Store your stamps away from the light. They will yellow over a short amount of time in just the tiniest bit of sunlight. If you find they don’t stick to your blocks well anymore, wash them in warm soapy water. ***Don't confuse Photopolymer stamps with acryl -clear stamps. Acrylic stamps are less expensive and much “cheaper” and usually made in China. When you are shopping for clear stamps always be sure to look for “polymer or photopolymer” if you want the high quality stamps. Good Quality Photopolymer stamps are usually made in the US and/or UK.